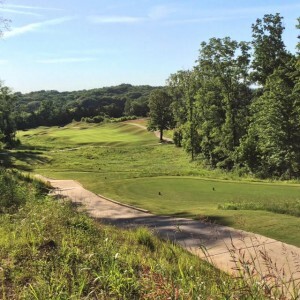 Your beautiful home can back up to any of these beautiful fairways. Amenities Center and pool location at The Hideaway at Arrington. What a view! Welcome to the rolling hills of Middle Tennessee! As a blogger, and Realtor, my situation here is to present things in a good light, but I am not obligated to sell things. Since I don’t work for a builder, I am a consultant to my clients. And with that being said, the hills of Middle Tennessee are a beautiful place to live. And the secret is out. People are coming to this area to enjoy the temperate, though sometimes, humid weather, extensive culture offerings, world-class healthcare and a strong job market. New communities are being built regularly. The Hideaway at Arrington is one of the newest ones and has much to offer in community living in a beautiful location. It is beautifully situated amongst the beautiful Tennessee hills. It is located about 15 minutes south of Franklin, TN. Let me tell you what is fantastic about the Hideaway. Let’s start with golf. 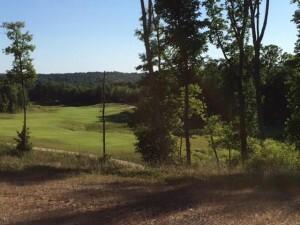 If you like golf, watch this video about the course that is already finished at The Hideaway. Me, I am not much for golf though I think it is a great way to get exercise and cultivate friendships at the same time. They will be opening the memberships later this year to this private golf club and there are a limited number of non-resident opportunities. So contact them to get on the list if you want to be a member. What I love is the new Amenities Center. We have some other communities than also to provide access to wonderful exercise and community gathering opportunities in a neighborhood and people LOVE them! How easy would it be to exercise if you can walk or ride your bike to a gym or classes right in your neighborhood with your friends. I would love that! The Amenities Center, which is scheduled for an early 2018 opening, will offer a restaurant, fitness center, golf pro shop, banquet space, meeting and spa rooms. What a great place to gather with friends. And the view! It is fabulous from the pool and the Amenities center. The Pool House will be completed this fall and they are planning for a Memorial Day opening to the pool in 2017. It is great to have the golf already completed and the rest of the amenities on the plan for an early completion. Houses – let’s talk about them. There are 8 approved builders in the neighborhood and construction has begun. Some houses have been built and sold. You can see a preview here. The builders own some of the lots and a few of the lots are offered at retail to individuals. The approved builders are the only builders allowed to build in the neighborhood. 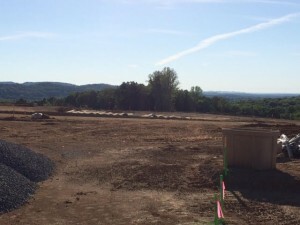 There are 98 lots phase 1 and 65% of those lots are sold. The neighborhood will have 482 houses. The early lots will be .35 -.45 acre with some acre lots to be released at a later date. The price point for home in this tremendous community is currently in $700K – $900K range. I believe all this data is accurate at the time of writing, but some things change in this process, so please confirm anything that is important to you before you buy. My business partner, Misty Woodford, and I would be glad to talk with you about purchasing one. 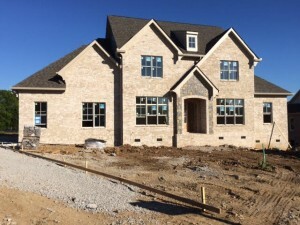 Purchasing new construction has many benefits for home buyers. I have another post about the benefits of working with a Buyer’s Agent in a new construction purchase. You can read it here. 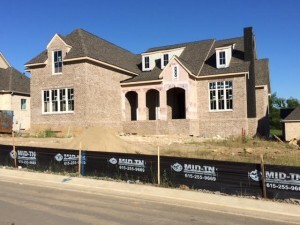 The Hideaway at Arrington will be the featured neighborhood for the 2016 Parade of Homes this October. That will be their Grand Opening to the public. And since there are other homes built, it should be a beautiful introduction! Contact Monica Neubauer, 615-568-8384, or Misty Woodford, 615-512-3351, for more information. This entry was posted in Franklin TN Information, Neighborhoods in Franklin TN, New Construction Information, Things to do in Franklin TN, TN and tagged Franklin TN real estate, Golf community franklin tn, New Construction Franklin TN, New Construction Spring Hill TN, The Hideaway at Arrington. Bookmark the permalink.